Occasionally I am honored by requests for advice about breeding and marketing stockhorse type Curly Horses, or for tips on introducing them to the general public. In this article I have compiled and will examine my usual responses to these questions. Please note that my opinions regarding these issues are my own, and have evolved from my own plentiful regrets over the years. Don't assume I am judging anyone - if it sounds like I am, it will probably only be one of my own memories (mistakes) I am reflecting upon. I hope this article will stimulate some conversation, and perhaps even be of some help to other breeders of our rare and wonderful Curly Stockhorses. Most living stockhorse conformation Curly Horses are descendants of the old Eli Berndt bloodline. There may be a handful that trace to other old and nearly lost bloodlines such as Fredell, Buck Mountain, or Ron Gales' horses... but those are probably even fewer in number than the Bad Warrior (Berndt) bloodlines. Then there may be the occasional Curly that was born of a non-stock type Curly parents crossed with an outside stockhorse breed. Any and all of these, in my opinion, are worthy of propagation in the hopes of the preservation and restoration of the Bad Warrior bloodline of Curly Horse (read more about the Bad Warrior Curly Horse Preservation Project). AND, if a Curly Horse of other (usually Damele) bloodline has a long enough hip, and a clean enough neck & shoulder, I personally would welcome it into the stockhorse type preservation effort. There are Curlies, and there are Western Curlies, and there are Stockhorse Curlies. The first thing to realize and appreciate is how very rare the true stockhorse conformation Curly Horse is. Before we can understand that, let's quickly examine the history, semantics, definitions and descriptions we have today, regarding the types of Curly Horses that exist. The very popular Damele bloodline is undeniably a western bloodline. It was originally developed in the early 1900's by the Damele family, who were Vaqueros that ranched (and still do) down on the Owyhee Desert. They captured, started riding and breeding the hardy Curly Horse after they noticed some that survived a harsh winter that killed off most non-curly mustangs. From there they went on to use and develop their own bloodline of Curly ranch horse using those original wild Curlies crossed with various stock breeds, including the early Quarter Horses, Paints, Appaloosas, and foundation Arabians and Morgans. The Damele Curly Horses, while as "western" as it gets, evolved into a Morab type using horse we see today. Not all Damele horses are Morab looking today, but many are. For this reason, I do not automatically consider a "western" dubbed Curly Horse as a "stockhorse" type Curly. I have been challenged in the past with this question: "If you just breed Quarter Horses with curls, why don't you stop breeding Curlies altogether, and just breed Quarter Horses?" I realized that that question was asked with some underlying assumptions. One assumption was that if a type of Curly Horse has identical or similar conformation to another American breed, only that other American breed should be bred (I take issue with that assumption). Which leads to another assumption, that the Curly Horse has its own specific and special conformation that needs to be protected and preserved. I have never seen that to be true, and I have seen a lot of Curly Horses. So I cannot agree with that assumption, either. In my opinion, the Curly Horse is widely variant in genetics, conformation, size and type. It has definite core traits that are its breed hallmark, which are irrefutably irreplaceable and definitely deserve our utmost protection and preservation. But I do not agree that the Curly Horse as a breed has a single special or specific conformation of its own that needs to be protected and preserved. To the contrary, I have seen over the decades that Curly Horses reflect whatever breed or mix of breeds is reflected in their pedigree. So, I believe that the true stockhorse type of Curly Horse is rare, and valuable. In fact it is so rare, I believe it is endangered. If anyone who owned a rare stockhorse type Curly Horse was not particularly interested or concerned about this, and they own it just because they love all Curly Horses, that is, if being a stock horse type was no more impressive to them than being any other type of Curly Horse, it would be downright heroic if they traded their stockhorse type Curly for another common bloodline of Curly with someone else who wishes to preserve them! Facts or Sentiment? Is this unique Curly Horse strain worthy of saving due to heritage and sentiment alone? One could argue that it would be simple enough to create more true stockhorse Curlies within a few generations by breeding non-stock type Curly Horses with outside stockhorse breeds. One would not have to preserve the lines of those that exist today. That is true enough, and I cannot argue with that logic. But in so doing, we would lose what is left of those old bloodlines that trace back to Sitting Bull's horses, those that created the oldest history in the Curly Horse breed. If that sounds too sentimental, then consider this: They have a proven history, and provide us with real using horses with exemplary Curly Horse traits. I would not want to risk losing that by having to start over completely. So, perhaps with some sentiment, but also some legitimate reasons, I believe it is worthwhile to preserve the genuine heritage of this unique horse. I hope we can work together to preserve what is left of them, and restore them to plentiful numbers once again. Mares (breeding DOWN). It cannot be overstated, how valuable the high quality stockhorse type Curly mares are. There are only a few out there. And during their breeding career they can only contribute a few head to the preservation and resurrection of the stockhorse type Curly. They can only produce one baby per year (unless donating eggs, and in that case, watch out for the quality of recip mares you use, as that matters, but, I digress...) so again, owning a rare high quality stockhorse type Curly mare inherently bestows upon their owner a high degree of responsibility for what she is bred to. I assert that the degree of responsibility for owning a stock type Curly mare is higher than owning a stock type Curly stallion. 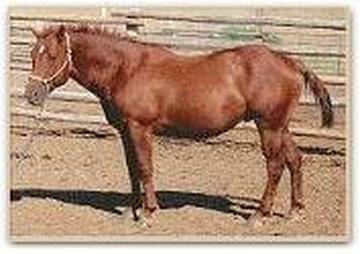 If a true stockhorse type Curly mare is bred to a non-stockhorse type stallion (Curly or any other breed), that breeding has essentially diluted something that is already rare and going extinct, and may even be guilty of producing a foal that could be (most lovingly of course) referred to as a mutt. There are plenty of mutt-type Curly Horses, and no shame on them, if they are of correct conformation and sound of mind, they are still great horses. But I feel that when involving a high quality stockhorse type Curly mare, this is to be discouraged. Stallions (breeding UP). These are also incredibly valuable. But what they are bred to is less critical than what a bona fide Curly stockhorse mare is bred to. For example, breeding a high quality stockhorse type Curly stallion to a non-stockhorse type Curly mare, although less than ideal in my book, depending upon his prepotency, is still a much lessor crime than vice versa. A stockhorse Curly stallion can also be bred to very high quality outside-breed stockhorse mares, with highly desirable results, and is a very legitimate method of increasing (thus preserving) the numbers of Warrior or stockhorse bred Curly Horses. When selecting an outside-breed mare to cover with a Warrior Curly stallion, she should be simply outstanding. She should be exceptional in every way: Conformation (including all Curly Horse traits such as good bone and foot), exemplary temperament, work ethic, movement, cow sense, etc. Quarter horse mares are a dime a dozen, so any we use to populate the Warrior horses, had best be great ones. And when I say great, I do not mean winning a halter class at the Congress. Do a genetic test before breeding any Curly Horse. No telling what's in that pedigree. Pull some hair and send it in. In lieu of that advice, never breed 2 untested horses together - ever - (of any breed). The Fuglies. Another trait to select for is one that many breeders may not know to think about beforehand. Whenever possible, select for horses that look almost as good during their 1st 3 years as they will when they mature. Many horses (of all breeds) go through the fuglies at one to two years of age. If you breed a Curly Horse, and cannot sell it fairly (I mean being fair to the horse) until it is 3 or more years of age, then you are risking that horse's fate, if you are suddenly unexpectedly forced to sell it as homely gangly youngster. Additionally, it is important for Curlies of all ages to make a great impression on others who are unfamiliar with our breed. It is always a bonus not to have to hide youngsters with the fuglies when newbies come out to visit and see their first Curly Horse. Ideally, we sell any Curly Horses we breed as weaners, or under saddle. That is ideal. If we are unlucky, and things do not go as planned, and they end up being put on the market when youngstock, hopefully they will not have the fuglies. Just something to keep in mind. Rule Number 2: Genuine Curly Horse Traits and All. Devotion to this breed is all or nothing folks. Do not bring a Curly Horse out in public (or breed it), if it is lacking any important Curly Horse trait. You owe the industry a responsibility to pass a great first impression forward: Show everyone else what someone originally showed you. To see it is to believe it; to hear about it is to doubt it. That means, no signs on the stall door that says, stay back--horse bites. That was the first example that came to mind, but the same thing goes for all Curly Horse core breed traits. Don't bring out a horse to introduce to the public, if it seriously lacks some fundamental trait that the Curly is famous and loved for. If you do, you are doing the whole industry a disservice. Rule Number 3: KNOW and SHOW Top Conformation. Conformation: learn it, breed it, show it. Do not be overconfident that you know what good conformation is, and do not be afraid to get input from people who are familiar with judging horses and know the difference. Do not assume yours is as great as you think it is - resist the temptation of Barn Blindness. Do NOT take a Curly Horse out in public that has poor conformation. In fact, in an ideal world, if you can hold back your excitement and your burning need to share, don't even display a mediocre (average) Curly Horse as a representative in public. Remember -- "fault-free" is a far cry from high quality. Be aware of the difference. A beloved partner and wonderful riding horse may not be a great prospect to represent the breed with. I believe that representing the Curly Horse breed with mediocre horses has probably done more to hold back the general impression and acceptance of this breed than any other single mistake I know of. I have seen a lot of Curly Horses presented to the public, in person and in articles and photographs. I would say about 10% of them, are horses that actually could impress, let alone win over a single serious horseman. People, you are competing with $6 figure dollar plus value horses out there... SO - bring something out that shines and begins to make a $6 figure dollar impression right alongside those other breeds! If you can't, then you are not ready yet. And that is ok. Don't be discouraged by that, but be honest and open enough to realize it and accept it. Don't jump the gun and lose that chance at an awesome 1st impression. What has been seen cannot be unseen, and will never be forgotten, and will be believed as so, and talked about as such, forever and after, Amen.